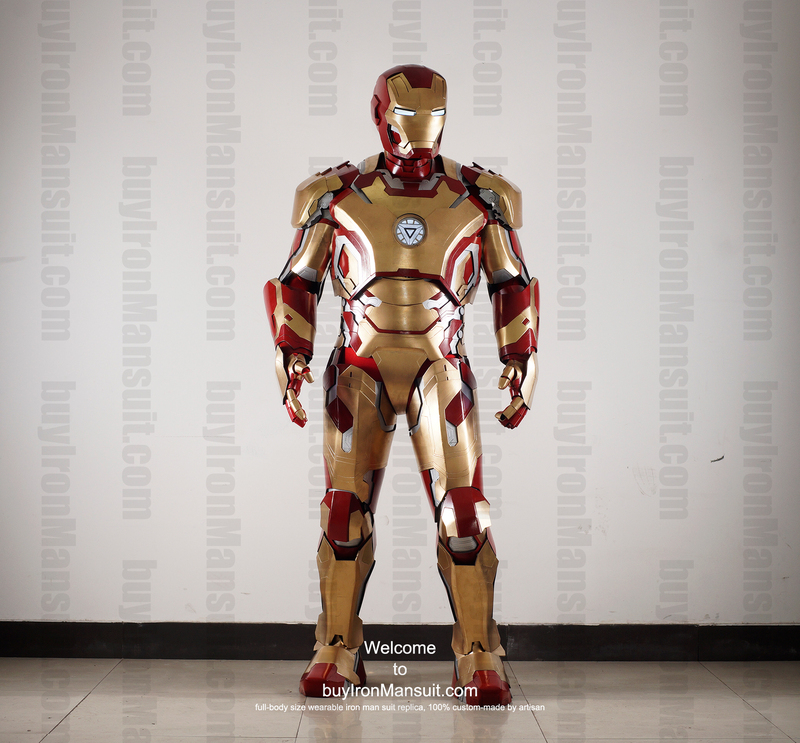 The full development history of the wearable Iron Man Mark 42XLII armor suit costume. 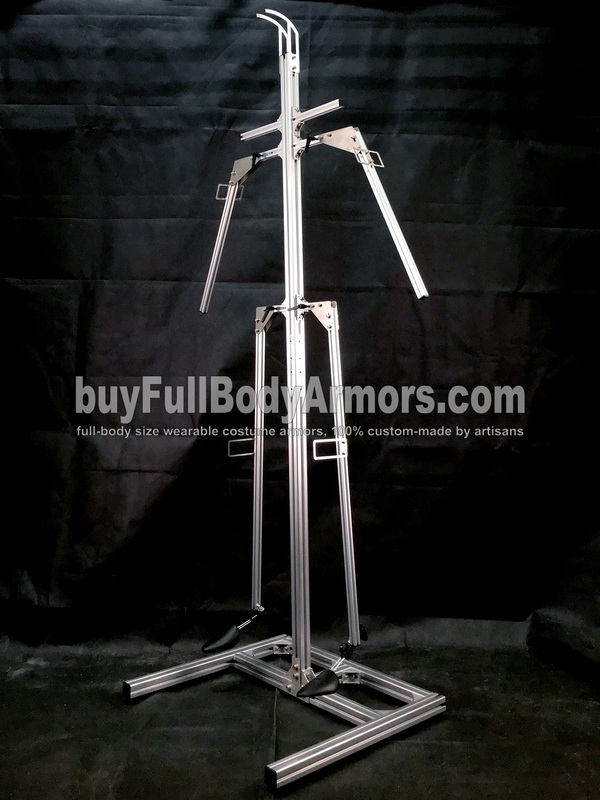 Our design and development engineers have built a Universal Aluminium Alloy Support (UAAS) which allows you to store and exhibit your armor costumes. 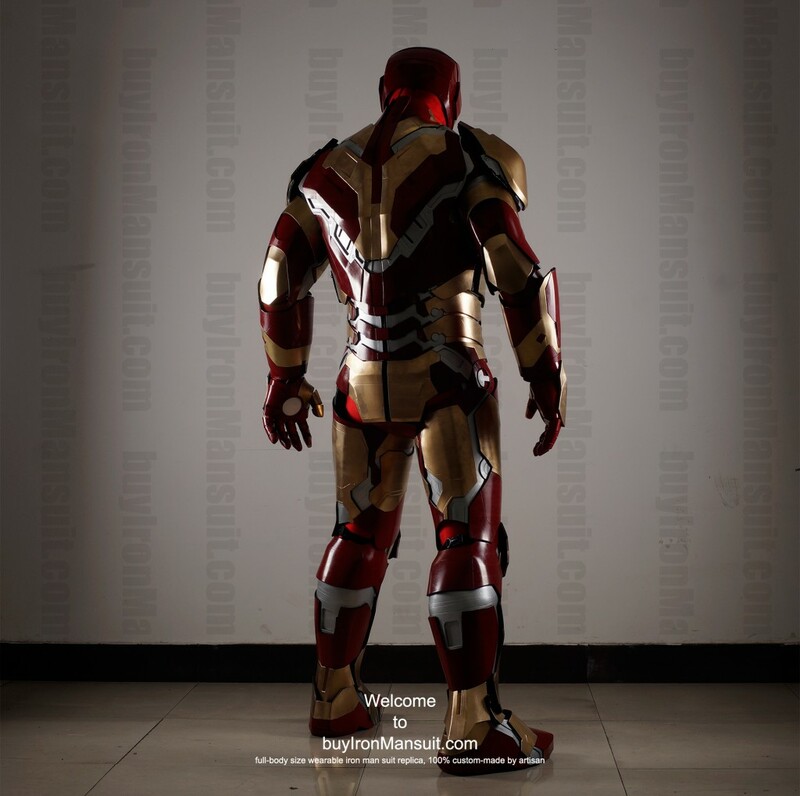 This entry was posted in News,Iron Man Suit Mark 43 XLIII Wearable Armor Costume R&D Milestones,Iron Man Suit Mark 43 XLIII Wearable Armor Costume R&D Full History,Halo 5 Master Chief Armor Wearable Suit Costume R&D Full History,Halo 5 Master Chief Armor Wearable Suit Costume R&D Milestones,Iron Man Suit Mark 46 XLVI Wearable Armor Costume R&D Milestones,Iron Man Suit Mark 46 XLVI Wearable Armor Costume R&D Full History,New Batman Armor Batsuit from Batman v Superman: Dawn of Justice 2016 R&D Full History,New Batman Armor Batsuit from Batman v Superman: Dawn of Justice 2016 R&D Milestones,Iron Man Suit Mark 2 II Wearable Armor Costume R&D Milestones,Iron Man Suit Mark 2 II Wearable Armor Costume R&D Full History,Iron Man Suit Mark 42 XLII Wearable Armor Costume R&D Milestones,Iron Man Suit Mark 42 XLII Wearable Armor Costume R&D Full History,Iron Man Suit Mark 3 III Wearable Armor Costume R&D Milestones,Iron Man Suit Mark 3 III Wearable Armor Costume R&D Full History,Iron Man Suit Mark 47 XLVII Wearable Armor Costume R&D Milestones,Iron Man Suit Mark 47 XLVII Wearable Armor Costume R&D Full History and tagged on May 26,2017. 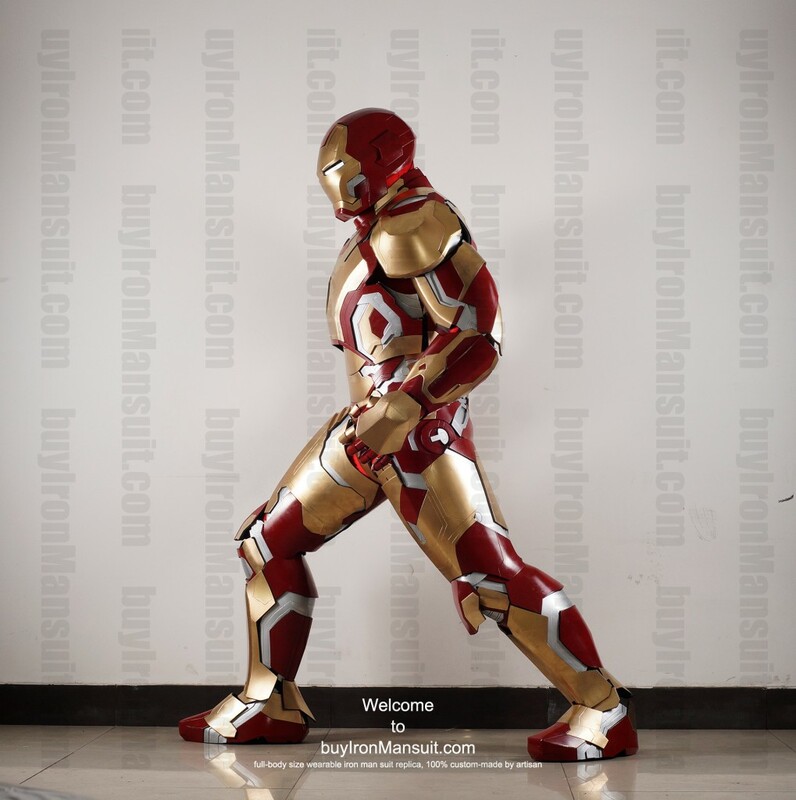 We just made some changes to the three classical wearable Iron Man suit costumes,the Mark 4, 6 and 42, about their helmets, gauntlets (hand armors) and shoe armors. These changes will come to operation in a few hours and all their base prices will rise 300 USD. These changes can be seen clearly in the following compare. 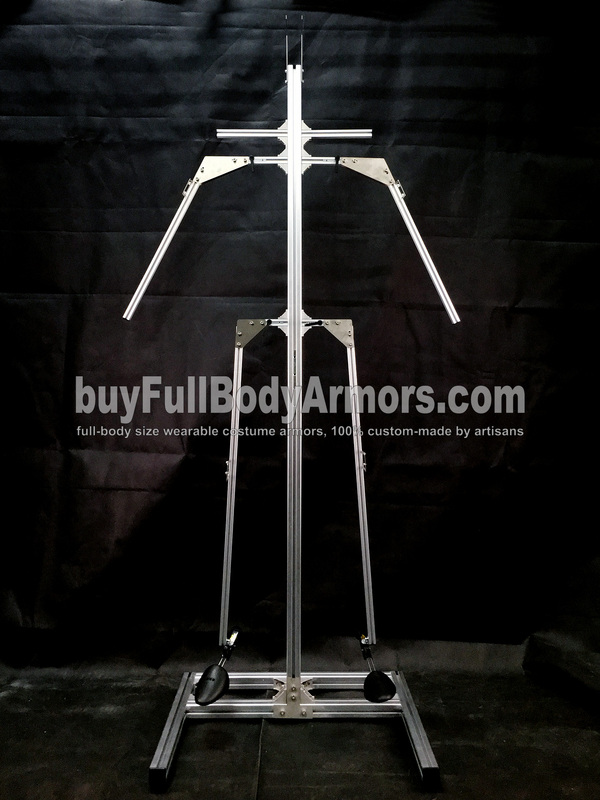 This entry was posted in News,Iron Man Suit Mark 4 IV Wearable Armor Costume R&D Full History,Iron Man Suit Mark 6 VI Wearable Armor Costume R&D Full History,Iron Man Suit Mark 42 XLII Wearable Armor Costume R&D Full History and tagged on Apr 24,2015. Order Now! 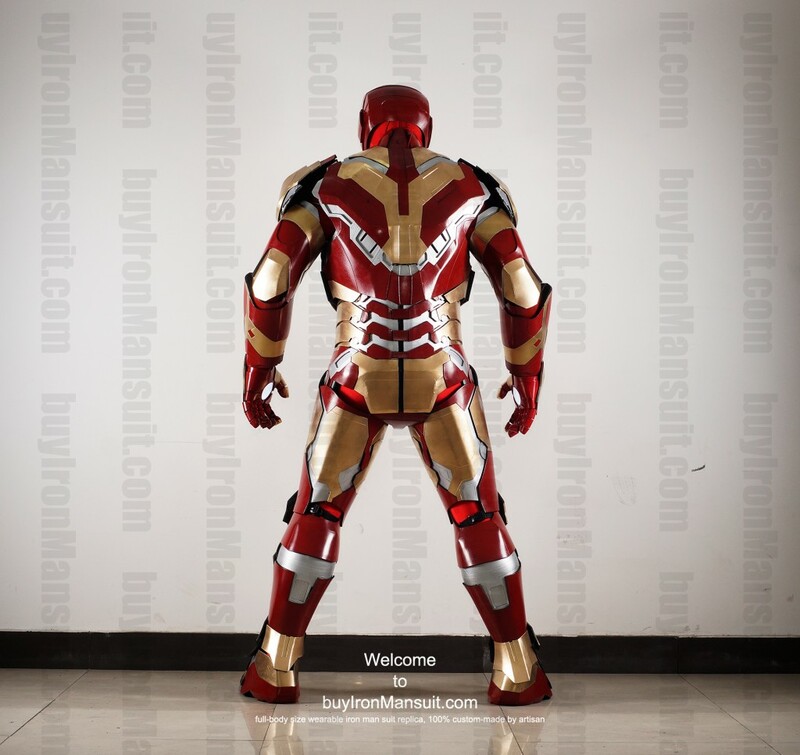 life-size wearable Iron Man suit costume armor replica Mark 42! 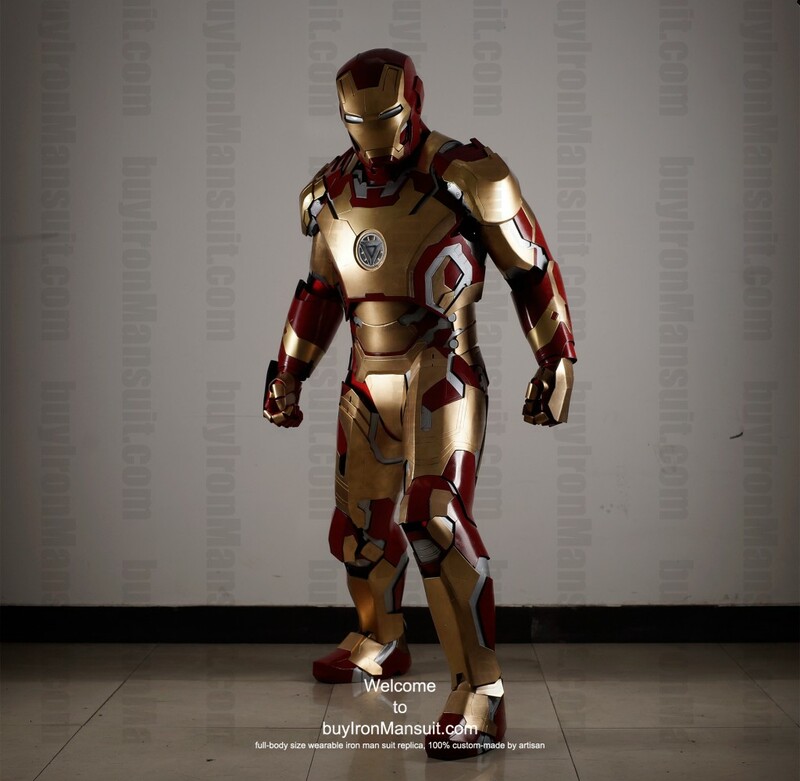 This entry was posted in News,Iron Man Suit Mark 42 XLII Wearable Armor Costume R&D Milestones,Iron Man Suit Mark 42 XLII Wearable Armor Costume R&D Full History and tagged Iron Man armor set news,Iron Man costume news,Iron Man replica news,Iron Man suit news on Apr 30,2014. Crazy days again, so busy these days. 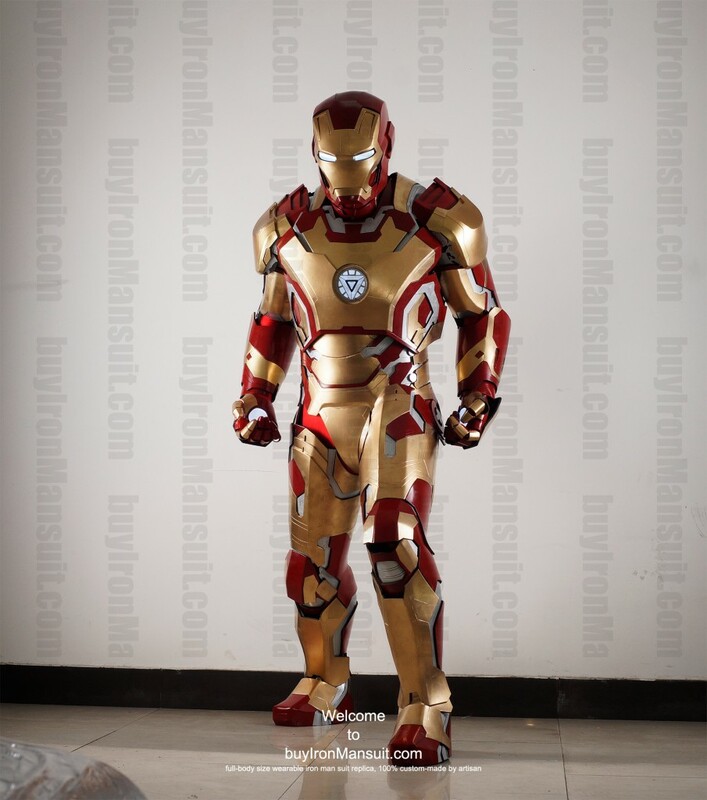 We will release detail photos of Iron Man suit Mark 42 this week, including photos of each parts and full-body wearing photos of Mark 42 v.s. Mark 6. 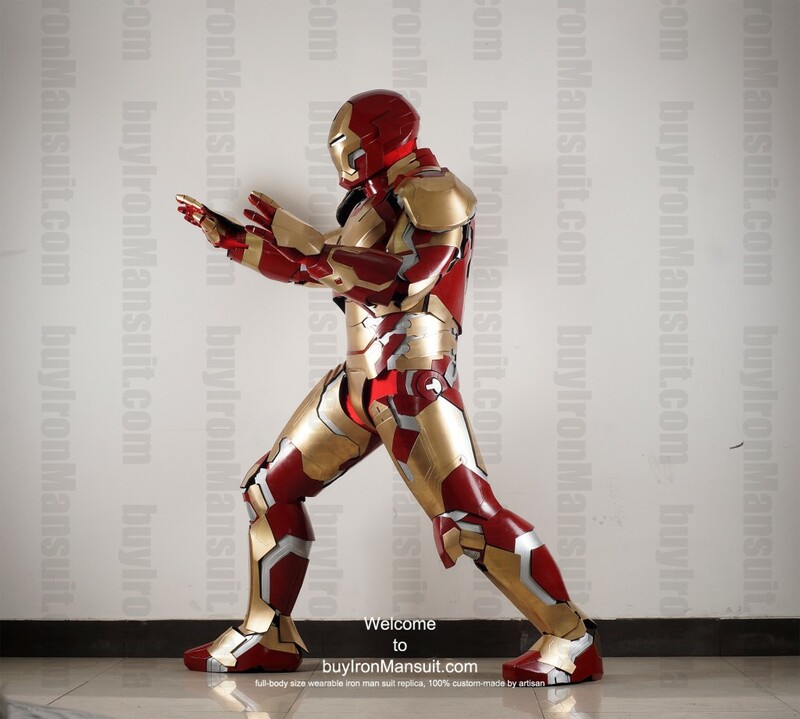 This entry was posted in News,Iron Man Suit Mark 42 XLII Wearable Armor Costume R&D Full History and tagged Iron Man armor set news,Iron Man costume news,Iron Man replica news,Iron Man suit news on Apr 19,2014.